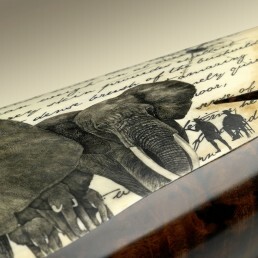 A tribute to the legendary African hunters, who in pursue of discovery and adventure shaped the myth surrounding the biggest mammal on earth – the Elephant. recreating the daring ventures of the most famous and illustrious characters who were drawn to the dark continent in search of riches, at a time where big herds of elephants roamed the land freely, in a world that few were privileged to experience. 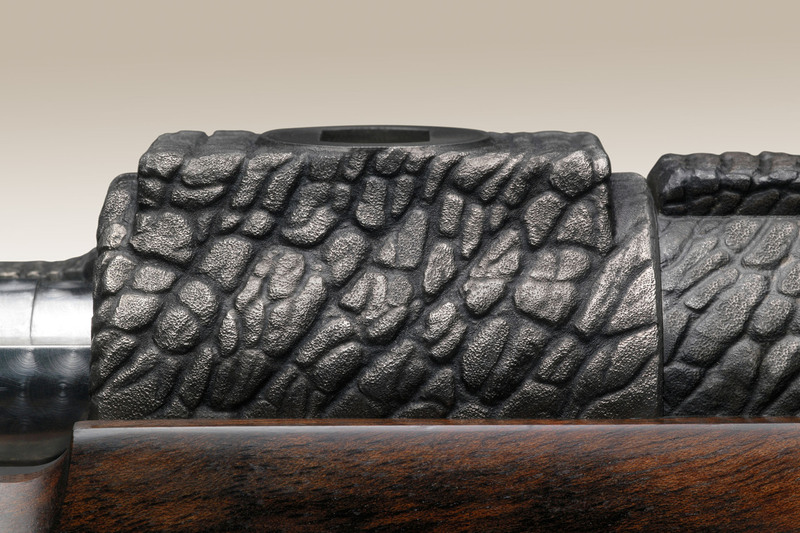 A dream of metal, wood, mammoth-ivory, 24-carat gold, a blend of color and exquisite materials, executed on the highest level of craftsmanship, in fabulous teamplay with worldbest metal artist Ritchi Maier, opulently framed in a luxurious gun case with the finest accessories. The mighty bull elephant stands watching us, a symbol of hope for the animal’s survival. 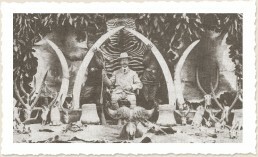 The ivory hunter is merely a shadowy figure behind the large elephant. His silhouette is looking into the distance, pale, ghost-like in the mist of times long gone by. 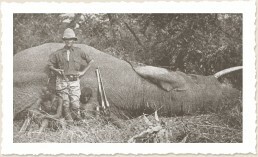 What he once hunted now faces us. That species has survived. The herons taking flight, carried by the element of air, act as a link between the two figures – the Ivory Hunter and the elephant, the Big Ivory. 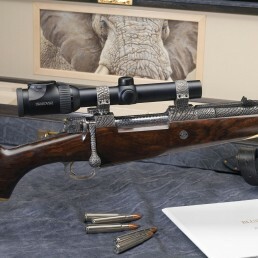 Although times have changed, what remains is the memory of such hunts immortalised in this exceptional rifle. 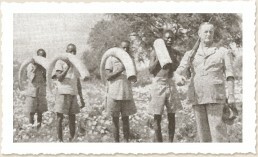 Like entries in old safari diaries, the names of great ivory hunters are a reminder of long bygone times. 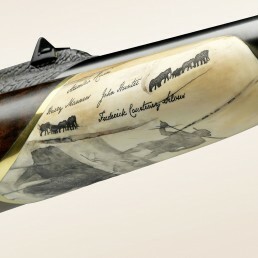 Some but by no means all of the most famous pioneers who hunted in Africa at the turn of the 19th/beginning of the 20th century are immortalised here in the ivory in finest scrimshaw stippling technique. 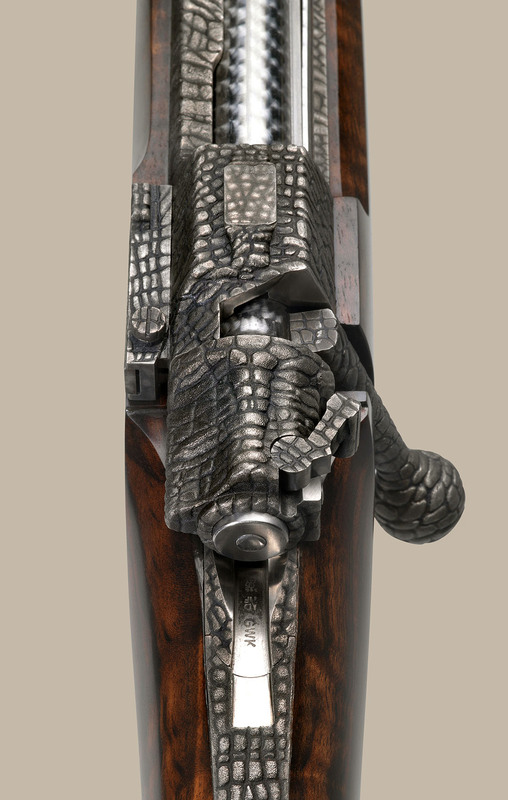 The archaic looking elephant skin is all-encompassing theme on this rifle´s steel parts. 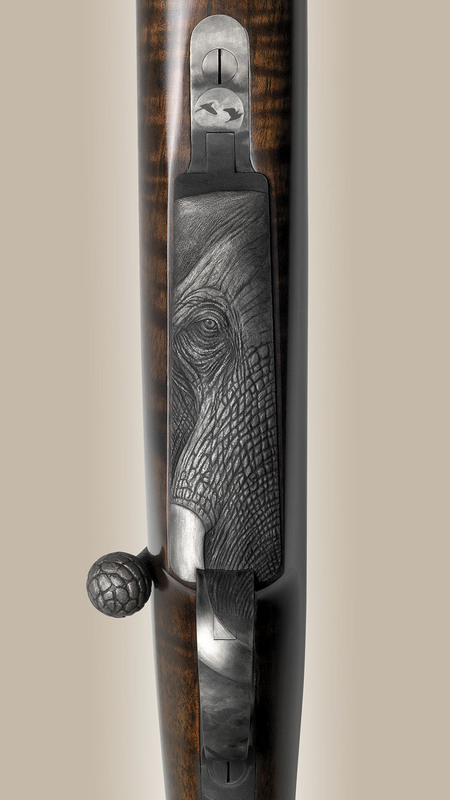 All the upper action parts of the “Ivory Hunter” up to the base of the barrel are finished in a realistic texture of the finest detail. 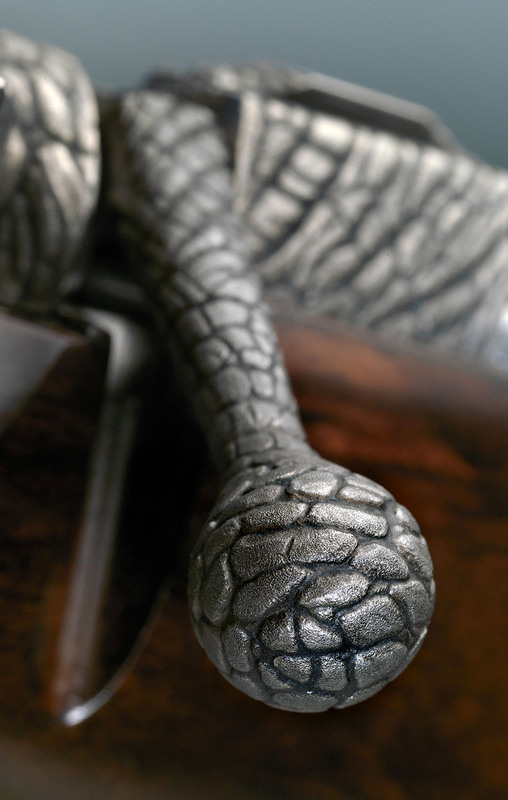 Center of the rifle´s bottom view is the big bull elephant, sculptured into steel, his eye fixed on the observer. A loner. The secret ruler of Africa. who carries with him a treasure, legendary and highly sought after. 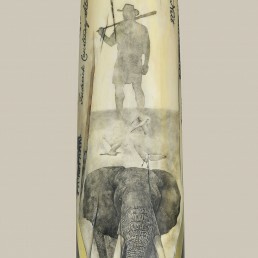 He is the guardian of the „White gold“ – the Big Ivory. It was for him that men infatuated by risk said goodbye to their families, left their homelands and made their way to the „dark continent“, driven by an inner voice, to search him out, track him down, in feverish anticipation of this final encounter, when in a state of exertion hunter and hunted stand eye to eye, and roles merge in face of this giant. When awe, fear and the instinct to kill and survive narrow the existence down to the most basic of questions: life or death. Only a handful of those early adventurers left Africa with more money than they came with, quite a few left with a lot less and some paid the ultimate price. 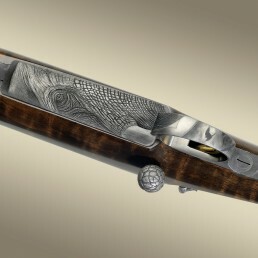 This project´s creation is the result of dedicated teamwork between worldbest artisans – Fanzoj´s gunsmiths, stockmaker, saddler, tool and case maker – and the creative crew, designer and engraver. 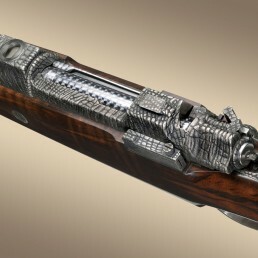 This rifle is UNIQUE, one single piece only. Collectors’ items of such quality take an incredibly long time to complete and require great personal commitment on the part of the firm. This is why they are rare, sought after and have and always will endure as desirable objects of lasting value.